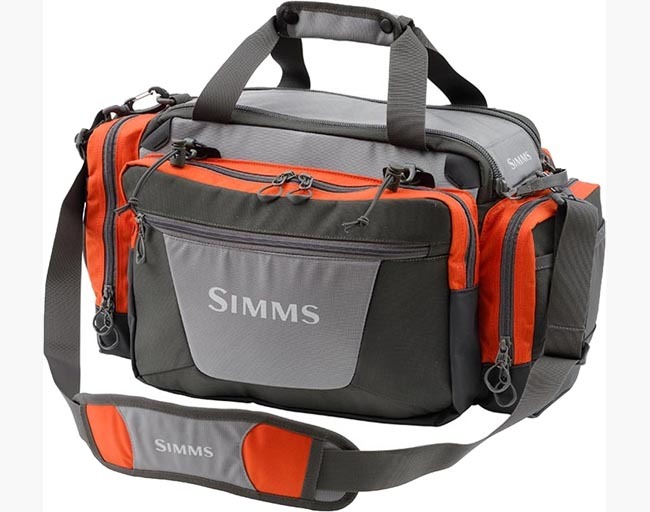 Savvy organization for anglers with extras, Simms’ Headwaters™ Tackle Bag offers garage-like gear capacity from truck tailgate to boat deck and beyond. The easy-access primary compartment, with double-zipper closure, holsters an array of small to extra-large boxes, while exterior pockets are ready to receive a cache of tools, mono spools, and more. Additional features include tuckable rod-tube holders on the exterior, a waterproof TPU bottom, and rugged nylon DWR coated upper fabrics.